The rapid growth of F# interest and adoption in London has meant an increased awareness of community events at our HQ here in Clerkenwell. With the tremendous contribution of Phil Trelford and F#unctional Londoners, we return this year for another edition of the Progressive F# Tutorials, our forth edition. This year we have also added a free to attend F# hackathon on Saturday 8th. Check down the bottom for details on how to sign up for free. This year, the conference will bring together great minds and experts like Don Syme, Scott Wlaschin, Mark Seemann, Mathias Brandewinder, Andrea Magnorsky and Robert Pickering with some 100 community members who are passionate about F#, functional programming, maths, data science, machine learning and other topics. Whether you are new to F# and want to learn about meta programming or a seasoned F# engineer keen to learn and share skills with others, the Progressive F# Tutorials is the place to be! Both days will be split into three hour long hands-on workshops designed to get you from zero to production. If you're brand new to F#, the three hour deep diving coding sessions will quickly bring you up to speed - with help and guidance for those that have been leading the charge since the language's birth. If you're using an imperative language such as C# or Python in the workplace and want to get up to speed with F#, we have a expert curated beginners track. For this track, we've entrusted the help of selected experts to take you through two days of hands-on learning. Staying in London on the Saturday? Skills Matter and F#unctional Londoners are hosting a one day F# hackathon. Topics will be decided on the day. Sign up for free here! Born in a research lab, matured in a company/enterprise setting, and now fully baked as an open-source, cross-platform, professionally-supported language - the F# journey has always been about reconciling the irreconcilable: Functional and Objects, Types and Dynamism, Company and Openness, Mac and Windows, Android and iOS, Programming and Data, GPU and CPU, Async and Sync, Server and Client - take two irreconcilable ideas, and F# finds a way. Come along and take a journey with me through the modern programming landscape and the F# approach to research, language design, interoperability, tooling and community. He is also the editor of PixVillage, a P2P photo sharing software. He joined Siriona in 2007 as an architect with former associates to enhance Availpro, a channel manager for independent hotels, to increase scalability and reliability to match its rapid growth. He is a member of the advisory board for Microsoft Patterns & Practices book about CQRS and Event Sourcing: “A CQRS Journey” and an active member of the F# community. You can also see his blog thinkbeforecoding, a blog dedicated to Domain Driven Design, CQRS and Event Sourcing. In order to participate in the hands-on parts, you should have a development environment where you can compile F# code, manage NuGet packages, and run unit tests with your favourite unit testing framework. Join a host of F# experts for an interactive Panel discussion! 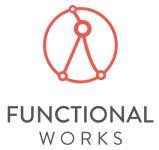 After the day's proceedings, grab yourself a beer and a slice of pizza; this is your chance to ask those burning questions around F# and functional programming. We encourage you to take a seat on the panel if you have an opinion or story to share. Robin Neatherway is a researcher at Oxford University, working on the verification of functional programs. He implements all his analyses in F# and is also a keen contributor to the open-source ecosystem around F#, including maintaining the Emacs intellisense support. I expect you to get really creative particularly coming to the power up. Bring a windows machine and don't forget a mouse (you will need it). The F# community is really growing, both in depth and in size! 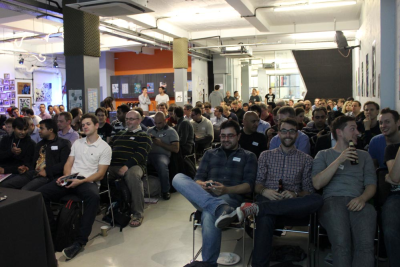 With many meetups and talks happening in London and New York, the F# Software Foundation providing enormous support and the F#unctional Londoners and F#unctional New Yorkers regularly meeting up to discover, evolve and adopt F# practices and technologies. Want to hear the business and technical case for F#? If you want to be one of them this year, we'd love to hear from you! Engage with the F# community! Show off your team, projects, tools or devices at your ProgFsharp conference booth! 4 free tickets to the conference which you can gift to your clients, your engineering team or members of Computing At School (teachers learning computing to teach the new National Computing Curriculum). Be remembered! Have your logo printed on all #ProgFSharp Party beer mats, provided to conference attendees, speakers and sponsors attending the party this year. Be remembered! Have your logo printed on all #ProgFSharp t-shirts, provided to conference attendees, speakers and sponsors attending this year. Be remembered! Have your logo printed on all #ProgFSharp swag bags, provided to conference attendees, speakers and sponsors attending this year.